The 22nd International AIDS Conference took place in Amsterdam, the Netherlands, from 23 to 27 July 2018. A selection of topics emanating from the conference, which is referred to as ‘AIDS 2018,’ have already been reported by GFO (see list below). Many other organizations also covered and participated in the conference, and they have produced a wealth of interesting and useful articles and resources related to AIDS 2018. 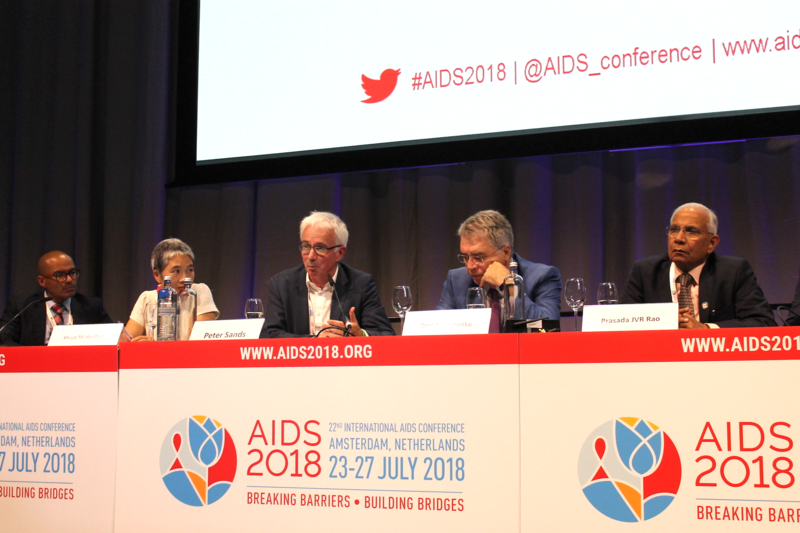 The International AIDS Economics Network (IAEN) held a two-day pre-conference in Amsterdam on 20th and 21st July, ahead of the 22nd International AIDS Conference. The theme was ‘Sustainable AIDS Response Results in the Era of Shrinking Donor Funding’. This was timely given the context of shrinking international funding for development assistance for health (DAH), and specifically, the HIV and AIDS epidemic.